Remembering the more than 100 million victims of communism. The following years were ones of hard work, filled with ups and downs, as permissions were obtained and plans drawn up. Initially, the plan had been to raise $100 million for the construction of a museum and monument to the 100 million victims of communism. This objective confronted reality when, by spring 1999, the foundation had raised less than half a million dollars. Plans to build a brick-and-mortar museum had to be put off as attention was placed on the construction of a one-million-dollar monument. Donors and ethnic communities throughout the United States reacted favorably. Led by the Vietnamese Americans in Northern Virginia, the Latvians, Lithuanians, Estonians, Turkistanians, Hungarians, and other groups rallied to donate money and effort to the cause. An invitation was extended to President George W. Bush to serve as honorary chairman—and he accepted. The crucial question of memorial design had to be addressed. Among the dozens of suggested designs were a replica of the Berlin Wall, a Gulag barracks, a killing field in Cambodia, a boat used by the Vietnamese and the Cubans to flee their communist oppressors, a cell from the Lubyanka KGB prison in Moscow, a broken statue of Stalin, Lenin, or Mao, a watchtower with armed guards and barbed wire. Two icons led the list: the Brandenburg Gate and the statue of the “Goddess of Democracy” erected by Chinese student protestors in Beijing’s Tiananmen Square. After months of debate, the board of directors unanimously selected the Goddess of Democracy as the core of the Memorial because (1) it called to mind the Tiananmen Square Massacre and the continuing oppression in the world’s largest country, (2) It was based on the Statue of Liberty in New York, reflecting humanity's indomitable desire to be free, and (3) it had become a global symbol of freedom and democracy with replicas in France, the United Kingdom, Nigeria, Taiwan, Canada, and San Francisco’s Chinatown. Thomas Marsh, a noted California sculptor and designer, was contacted and invited to submit a design. Marsh, working closely with students who had been at Tiananmen Square, had previously crafted a replica of the Goddess of Democracy statue for San Francisco’s Chinese community. Marsh said he would be honored to create a bronze replica for the Victims of Communism Memorial in Washington and would waive his fee—a generous and unexpected offer. The National Park Service helped the foundation select the final location. A small island of land, unused for years, at the intersection of Massachusetts Avenue, New Jersey Avenue, and G Street, NW, two blocks from Union Station and within view of the US Capitol (with the majestic Statue of Freedom on top of its dome) was finally chosen. Many groups and thousands of individuals contributed to the construction of the monument. Notable donations were made by Pew Charitable Trusts, Phillips International, Lin and Janet Snapp, the Knights of Columbus, Norma Zimdahl, the Republic of China, and the Heritage Foundation. No government funds were sought for the memorial.  The Victims of Communism Memorial was dedicated by President George W. Bush on Tuesday, June 12, 2007. June 12 was chosen as the 20th anniversary of President Ronald Reagan’s famous Brandenburg Gate speech at which he said, “Mr. Gorbachev, tear down this wall!” Two years after the Reagan speech, the Berlin Wall tumbled down, and two years after that, the Soviet empire was no more. Widespread media coverage of the June 2007 dedication included front page articles and editorials in major newspapers and magazines as well as extensive broadcast and cable TV. Leaders from dozens of nations have since visited the memorial site to pay their respects and lay memorial wreaths.